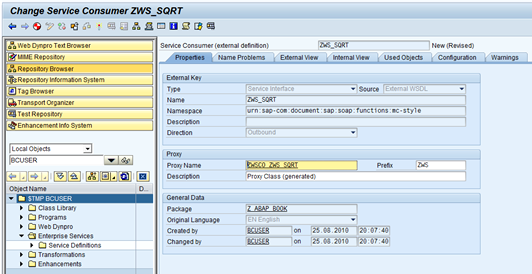 In this exercise, we will look at how we can consume a web service using a client proxy using ABAP. 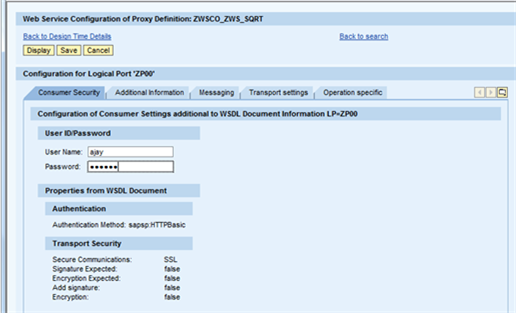 Webservice Client Proxy acts as a transfer program. 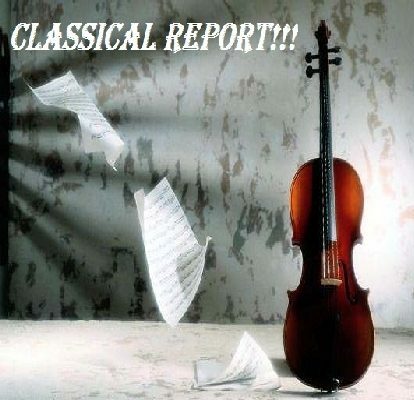 Creation of Valid SOAP messages and evaluation of received responses is taken care by the proxy. So a developer can concentrate on the Business Application without bothering about the technical aspects that is how the SOAP messages are exchanged. 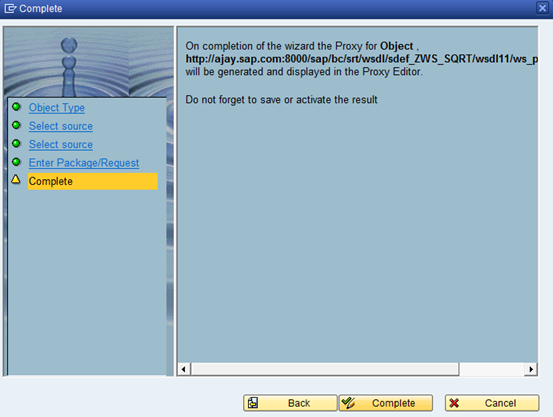 Step 1: To start the Service Wizard again, from SE80 right click and choose Create->Enterprise Service. 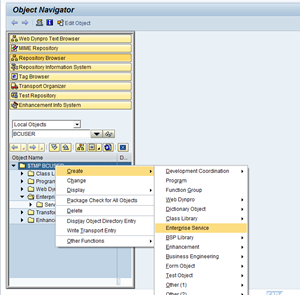 Step 2 : This time in the Object Type step of the Service Wizard, choose Service Consumer. as we are at the consumer site. For the source of the Service Consumer, you can choose between the Enterprise Service Repository, a URL to a WSDL or the local file location of a WSDL, a UDDI, and the Service Registry. Please choose URL/HTTP Destination. 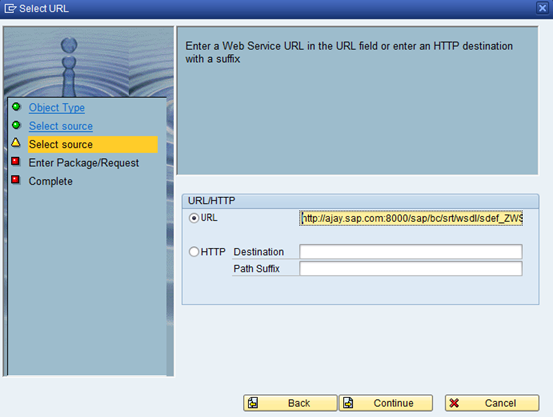 Step 4: Enter the URL of WSDL file which we had created in an earlier exercise. Fill in the necessary details in the wizard. On the final step, you can press Complete to start the Proxy object generation. You will be promoted for your logon User name and Password. 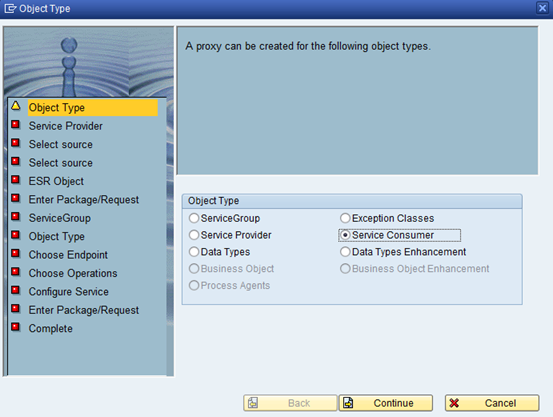 The generated proxy class is now displayed. Click on save and activate. 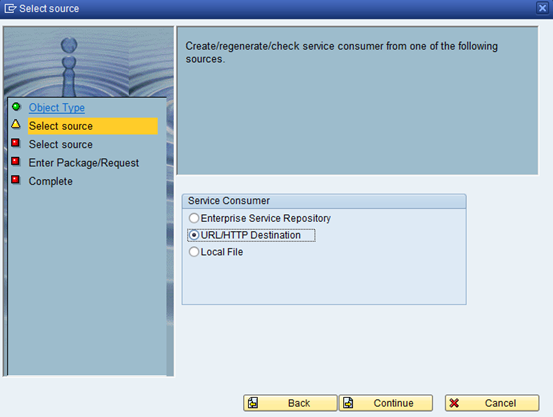 Go back to transaction SOAMANAGER and in order to setup a Logical Port for our new Service Provider. Logical Ports are used to configure runtime features of a web service. We can create a logical port by either tcode LPCONFIG(obsolete) or Soamanager as shown below. Why do we need a Logical port? A consumer proxy never stores any details regarding the URl server which are specific to one system. These details need to be configured through logical ports and endpoints. 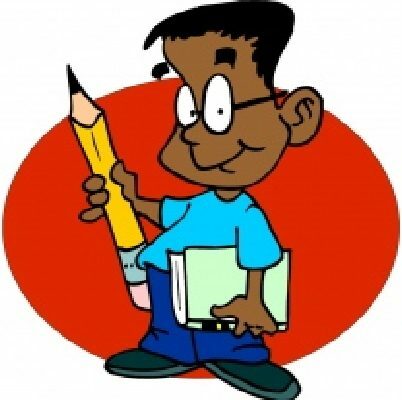 We will navigate to the same location as the last exercise – the Service Administration tab and then click the link named Single Service Administration. This time when you search in the Web Service Administration, choose to Search by Consumer Proxy. Don’t forget to press the Apply Selection button after highlighting your proxy. From the Configurations tab, choose to Create Logical Port. From the Popup screen that is generated, you will have to fill in several parameters. First you will need to name your logical port and set it as the Default. 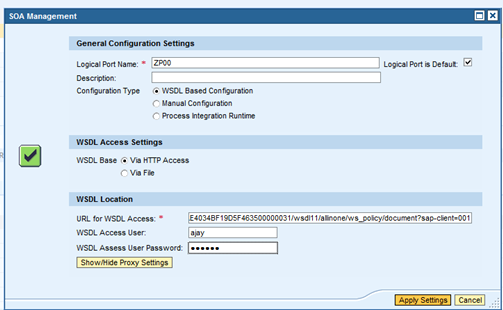 Next we need to use WSDL Based Configuration. This way the application will read all the necessary security settings for calling this service directly from the WSDL definition. Finally, you will again need to supply the WSDL URL for the services you are call (hopefully you still left that browser window open). 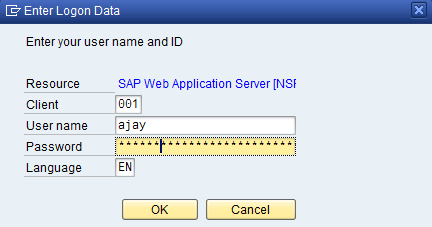 You also must supply your system User name and Password to access the WSDL. 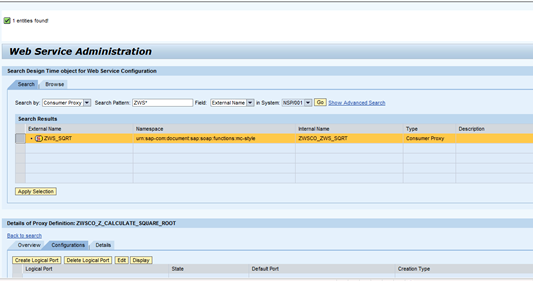 If successful, you will be returned to the Configuration for Logical Port screen. From here you can further define the settings for this logical port. For now, we need to embed user credentials for calling this Enterprise Service. So once again input your User name and Password and then Save the Logical Port. 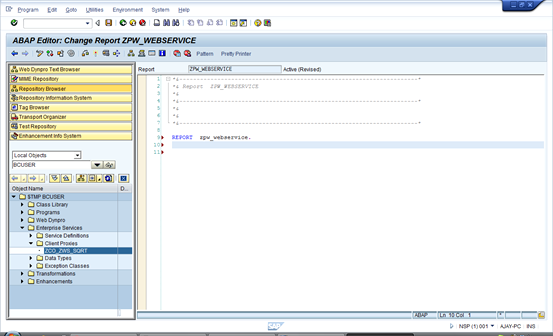 You can now return to the ABAP workbench in the package ZPROXIES and the definition of your Service Consumer and test it. Method Name. Finally execute the test. Switch to the XML Editor and replace the number value with 16. You can go ahead and execute the request call. 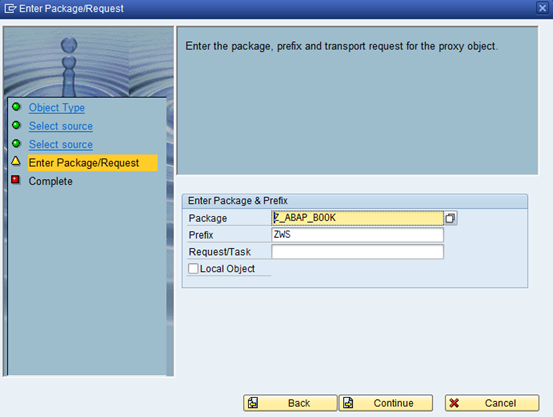 Now what, If you want to consume web service using ABAP. 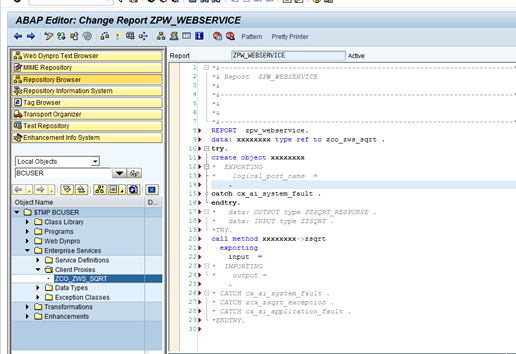 Goto SE80 and create a new report program ZPW_WEBSERVICE. 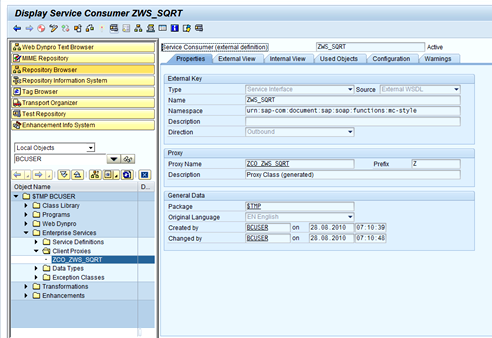 Drag and Drop the proxy class ZCO_ZWS_SQRT and you get the template for consuming. 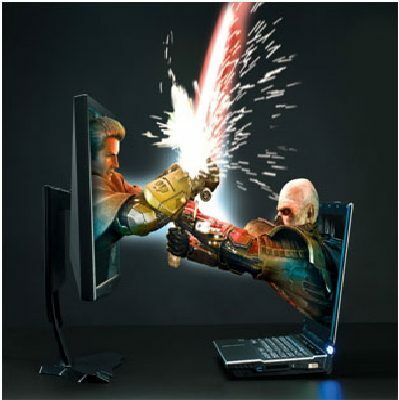 This looks like as shown below. Modify the template for invoking the web service with the below code. 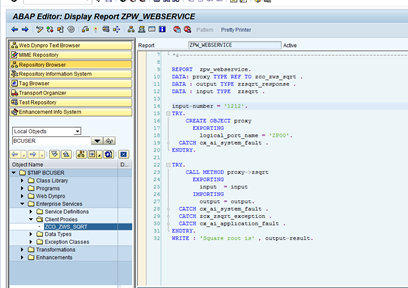 DATA: proxy TYPE REF TO zco_zws_sqrt . DATA : output TYPE zzsqrt_response . DATA : input TYPE zzsqrt . WRITE : ‘Square root is’ , output-result. Now it’s ready for execution. Here we go. 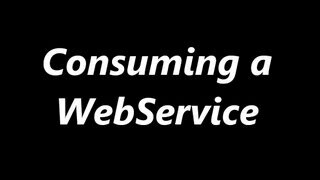 Obviously, it’s not the best kind of report to build, but I hope the basics fundamentals for consuming a web service would be clear by now.